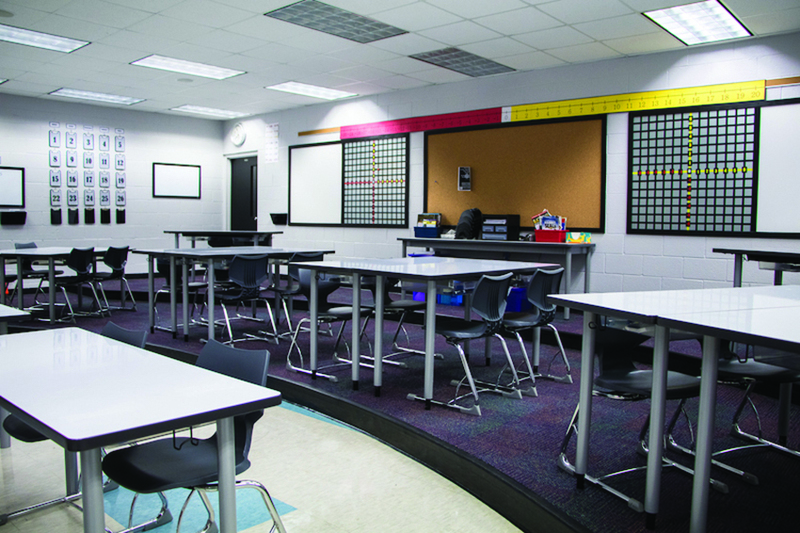 Brevard County Schools magnet program experienced the transformational power of modernizing learning spaces through combining magnet school reform with high impact learning environments. Palm Bay Magnet High, McNair Magnet Middle, and Stone Magnet Middle utilized Magnet Schools Assistance Program funds to energize media centers, classrooms, maker spaces and “incubation labs.” The district partnered with MeTEOR Education for instructional and interior design, installation and instructional support. The first phase involved walk-throughs at each school. After a thorough discussion of instructional goals, MeTEOR designed spaces aligned with each school’s unique vision. The media center and incubation lab at the high school enabled diverse student groups to engage, collaborate, create projects, and incubate ideas through the 17 pathways for career/technical education. The incubator lab now hosts community groups to showcase the project. Every middle school classroom was designed to foster student-led inquiry and collaboration. Schools utilized ideation from some of the best universities in the country including Yale’s TEAL (Tech Enabled Active Learning Space), FUSE labs as featured at Northwestern University and aviation labs drawing from Brevard’s rich history in aeronautics. Faculty magnet best practices became a guideline for changed instructional practice. Instructional shifts incorporated strategies to support the most pertinent sections of grant project designs and were non-negotiables for teaching and learning. The design and planning process was interactive and collaborative, creating buy-in at all levels. The entire community embraced these new spaces.